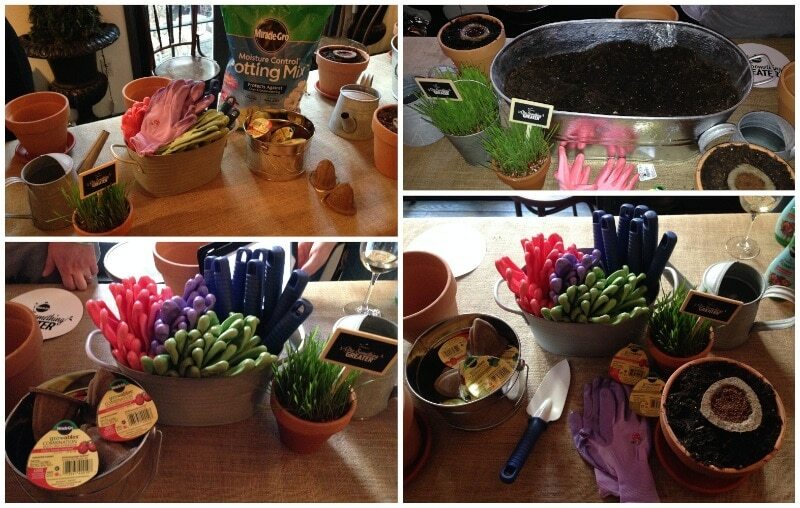 Last week I had the opportunity to attend Miracle-Gro’s Gro Something Greater Event to experience all of the latest and greatest gardening innovations from Miracle-Gro and all I can say is, bring on the spring! Miracle-Gro got us into the spirit with lots of delicious herb-inspired snacks before having us roll up our sleeves and get our hands dirty and actually plant some veggies of our own. One of Miracle-Gro’s latest and greatest innovations is the Gro-ables seed pods. These ingenious little pods contain everything you need to start a plant and the make the process so easy. 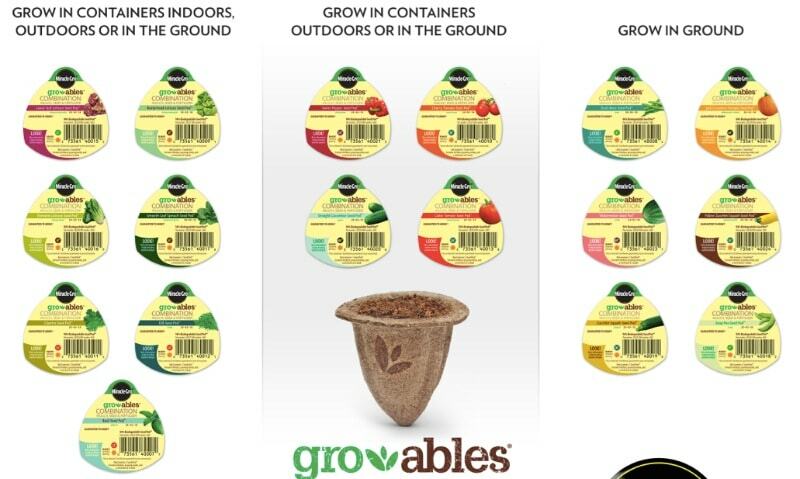 Made from biodegradable material, the plant germinates in the Gro-ables pod and as it grows, the pod breaks down into the soil and the roots push through the pod into the soil so once you plant the Gro-able, there’s nothing more to do, just water the plant like normal. Pictured above, a demonstration of just how easy it is to plant a Gro-able. Simply fill a container with your choice of Miracle-Gro potting mix, pull the top off of the Gro-able and then push the growable into the soil. So easy, even someone gardening-challenged like me can do it! Care instructions for your specific varietatal of Gro-able are on the tear-off lid and can also be found online here. Pictured below, the amazing array of Gro-able plant choices including: Romaine, Butterhead and Looseleaf Lettuce, Dill, Cilantro and Basil, Sweet Pepper, Cherry Tomato and Cucumber and Zuccini, Snap Peas and Watermelon. Yum! 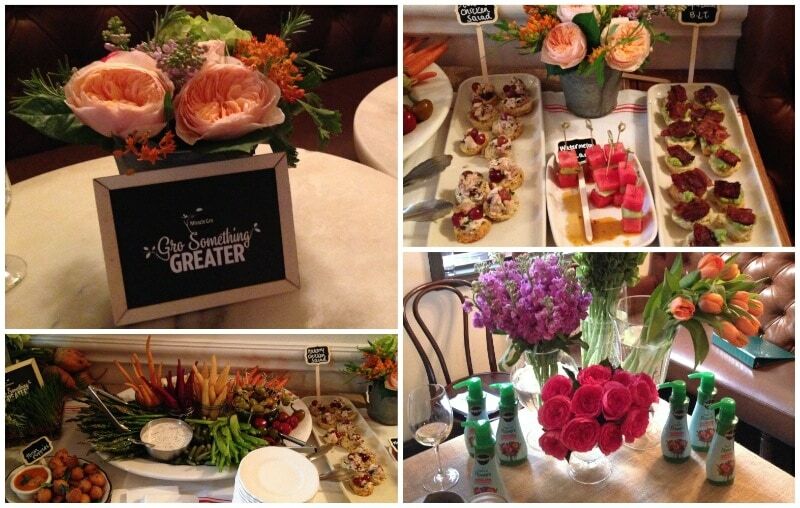 One of my favorite products from the Miracle-Gro event has got to be the new Miracle-Gro for Fresh Cut Flowers. I LOVE having fresh cut flowers in the house and this magic liquid actually helps cut flowers look good and stay fresh longer! Just 2-3 pumps in the water and your cut flowers looks great for days longer. As an added bonus, the water stays clear instead of getting cloudy and gross. I ran my own test on this new product and my results are pictured above. I was really impressed with how well Miracle-Gro for Fresh Cut Flowers worked, and I actually had to do a double take to figure out which picture was from Day 1. In addition to Miracle-Gro Fresh Cut Flowers (which I adore!) 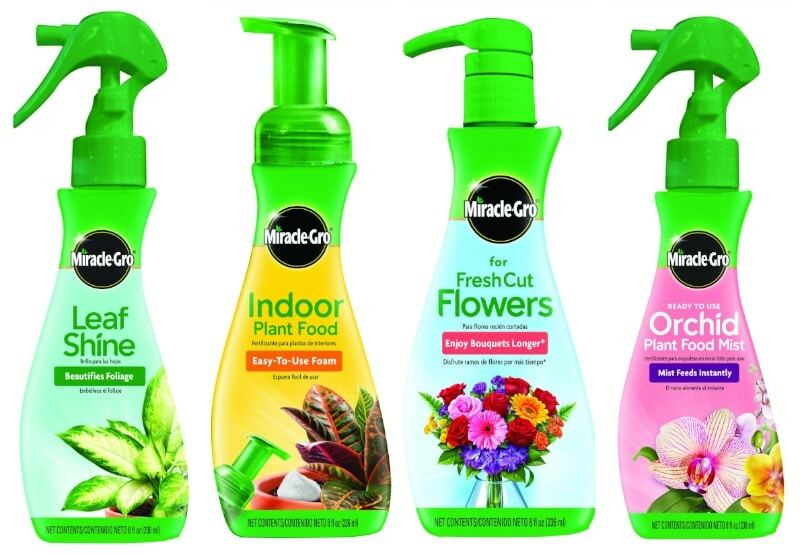 Miracle-Gro also has three other great new products to help you nurture your indoor plants. Miracle-Gro Indoor Plant Food utilizes an easy to use, once a week foam delivery to help promote lush, beautiful house plants and is safe for use on all your plants, including edibles. Miracle-Gro Orchid Plant Food Mist provides essential nutrients for orchids that you spray onto the leaves, soil and roots once a week. As an added bonus, the Orchid Plant Food Mist also provides additional humidity to simulate ideal orchid growing conditions. Finally, Miracle-Gro Leaf Shine is a gentle spray that cleans and beautifies foliage plants with hard surface leaves without clogging leaf pores. In addition to the great products for indoor plants, Miracle-Gro also has three different soil blends for all your outdoor plant needs. Miracle-Gro Moisture Control helps the plant challenged like me from over or under watering, Miracle-Gro Potting Mix has nutrients to feed container plants for up to six months and Miracle-Gro Organic Choice is a great solution especially for edible container plants like vegetables and herbs. To learn more about these and all of the other fabulous Miracle-Gro products, visit Miracle-Gro online or pick up them up and try them yourself at stores nationwide. Product samples provided for review.